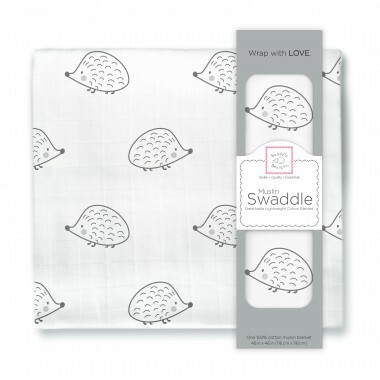 SwaddleDesigns Muslin Swaddle Blankets are awesome! SwaddleDesigns Muslin Swaddle Blankets are some of the easiest blankets I've ever used for swaddling. They're extremely easy to use because of their generous size and extremely helpful labels. The labels are so helpful that even my husband was able to do it. I absolutely love the open weave design to increase breath-ability and help keep baby from overheating. The designs are wonderful and I have to say these SwaddleDesigns Muslin Swaddle Blankets would make an amazing gift for any mother to be! To learn more about Swaddle Designs click HERE and be sure to sign up for their email updates to receive info about all their new products and receive special discounts! Follow Swaddle Designs on social media!